A betrayed soldier from the present awakes on post-apocalyptic Mars. With a genetically-engineered Mock Man and a sorceress princess he must rise to be a champion in a world ruled and ravaged by scientist mages. 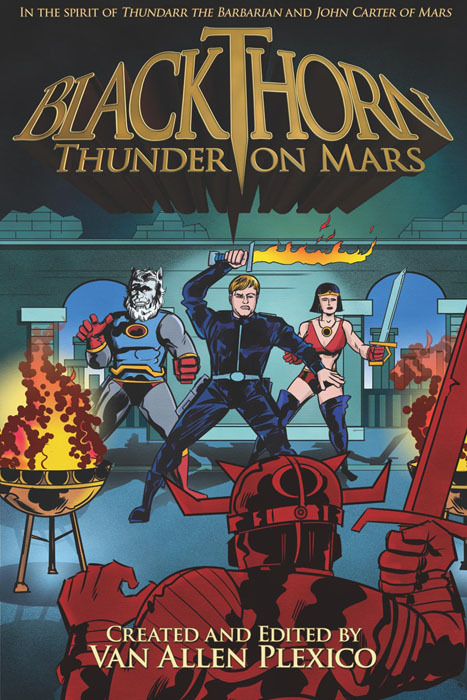 BLACKTHORN: THUNDER ON MARS mixes the styles of Edgar Rice Burroughs and Jack Kirby to create a vibrant alien world of passion, action, and intrigue. 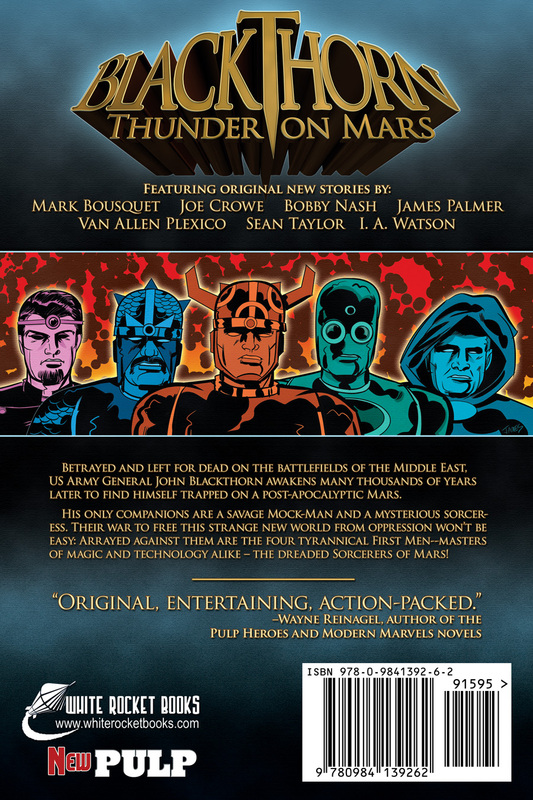 Nominated as Best Pulp Anthology in the Pulp Ark Awards and contining two Best Pulp Story nominations from both the Pulp Ark Awards and the Pulp Factory awards, this collections sets the scene for all that comes after. Order in paperback from Amazon.com HERE. Order for your Kindle reader or iPad HERE.